Pick of the Patch - Fresh, Local Breakfast, Brunch and Lunch. We've sourced the finest, freshest ingredients to bring you your favorite fall flavors. 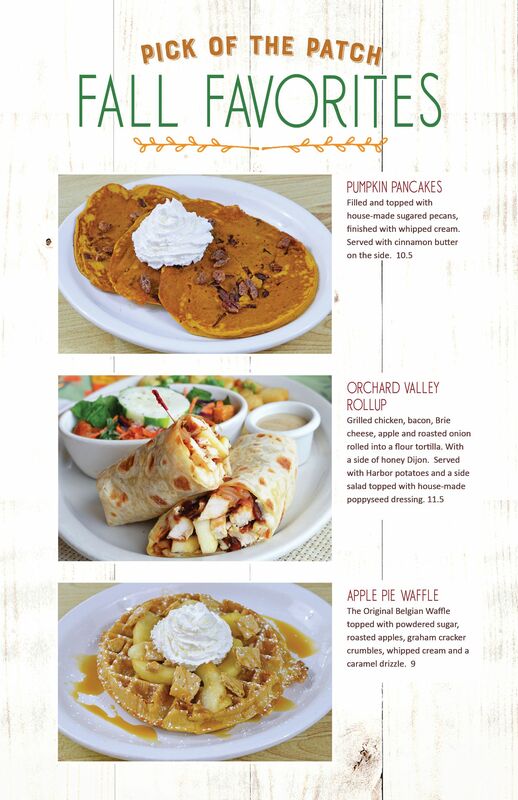 Come taste the pick of the season... Pumpkin Pancakes, Orchard Valley Roll-Ups and Apple Pie Waffle. New menu begins on September 19.